By Altimeter’s Rebecca Lieb, Industry Analyst and Jeremiah Owyang, Industry Analyst. If consumers don’t differentiate between “Paid, Owned, and Earned” so why are marketers segmented by different departments and have separate agencies that do each? 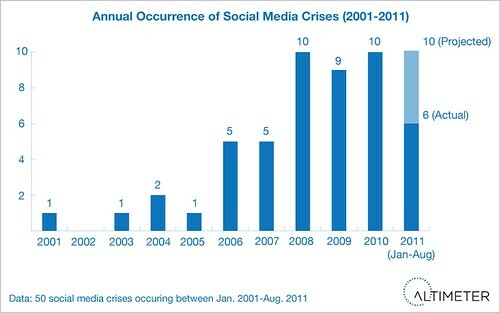 Does a ‘social media agency of record’ actually slow progress? 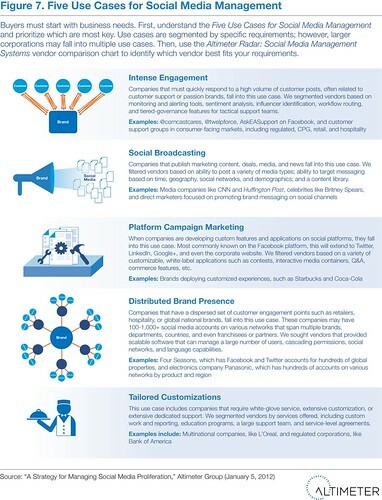 Can a marketing effort be more effective if all of these methods are used together? These are exactly the questions we want to answer. Earned (social content) has become mainstream. We’re past the point of experimentation. Nearly every industry requires mass deployment. Inside companies we’re seeing the corporate social strategist cross the aisle to work with direct marketers. Advertising agencies are extending their budgets into the social world. Political and coordination issues will emerge as they come together. Brands that integrate paid, owned and earned media will benefit because they will reach customers in the most effective manner. Consumers don’t consciously differentiate between ads, corporate content, and what their friends say, but instead indiscriminately use a variety of content sources. Want to get involved? 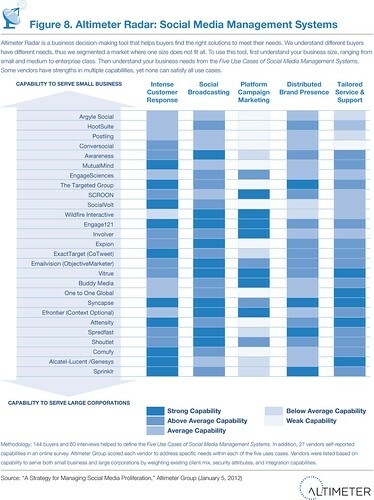 Altimeter seeks to interview and take in case study submissions from a variety of brands, agencies, technology providers, and third party topic experts, email briefings at altimetergroup.com. If you want to receive an email copy, sign up for our newsletter or follow the Altimeter Twitter account, and be notified when this report, and others, are published. Also, if you see some notable examples of paid owned earned already happening (the Old Spice Man comes to mind) kindly let us know in comments or send us an email and we’ll take a look. You can see our other Open Research reports on Content Marketing, Mobile Apps, Enterprise Social Networking, Analytics and more on our research report page. We publish them under Open Research creative commons so they can be widely read, adopted, and shared. Between her Ad and content background in NYC, and my focus on earned/social in Silicon Valley we’ll be the dynamic duo to put these questions to rest. 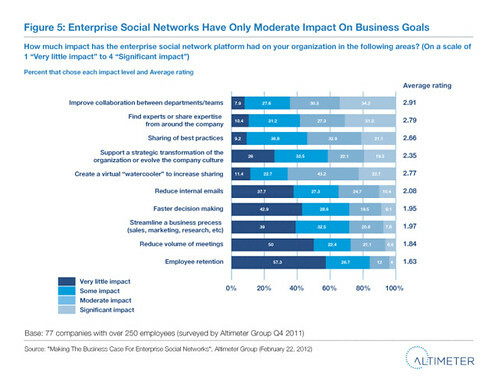 Altimeter’s latest report now on Enterprise (inside of companies) social networking is now out from Charlene Li, author of Groundswell, Open Leadership and my business partner. She conducted thorough analysis by surveying 185 users, surveyed 81 ESN decision makers and interviewed 12 technology vendors. Long term adoption often unsuccessful beyond one department. What’s interesting is there’s lots of initial enthusiasm but a slow decline after deployment. In many cases, primary adoption occurred in the marketing/product section, IT, followed by sales and corporate communication. Highest adoption of fremium tools. Interesting breakdown of vendors, with self-service Yammer in the lead, followed by Chatter and Tellingent and IBM connections. What’s interesting is these fremium tools enter the market, get their hooks in and grow adoption and switch to premium offerings. Who said social media will reduce emails? What’s interesting is that enterprise social networks don’t actually reduce internal email. The report also includes an actionable plan to get started, while there’s lots of details in the bullet points (filled with real world examples from real research interviews), they include four ways ESNs drive business value, including: 1) Encourage Sharing, 2) Capture Knowledge, 3) Enable Action, and 4) Empower people. We’re continuing to publish reports, and have a growing archive on our site, and will be doing a variety of webinars in support of these research findings. If you found them helpful, we look forward to you engaging with us in the conversation, and appreciate you using, sharing, and applying the findings. You’ll find the full report embedded below which you can download, print and share, also read Charlene’s post. Get account control now –or risk a career of continual social media sanitation. To match the growing consumer adoption of social media, many companies have launched social media efforts with little planning. As social media spreads beyond corporate communications and marketing, business groups are deploying social media without a standardized process. In fact, enterprise class corporations (those with over 1,000 employees) have an average of 178 social media accounts and this number will only grow if left unchecked. Companies that don’t control these accounts are at risk of having abandoned accounts, lack of consistent experience, or untrained employees creating a crisis. 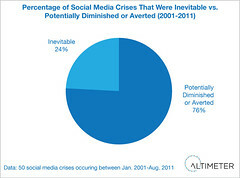 Join Altimeter’s webinar to discuss this report. We’ll cover the market trends, industry problems, provide new data not in this report, give insight to the future of this growing space. We’ll also be featuring case studies of success of how top brands are showing success, please submit case studies for review. Register for the webinar on Feb 7th, 2012, and we’ll dive in deeper. This report puts companies in control based on business needs. Five Business Use Cases: Based on interviews with buyers, we sought to find out their needs, rather than focus on software features. Altimeter Radar: a decision-making matrix that will help buyers to determine which vendors are best for them. Pragmatic Guide: At the end of the report, we feature 11 steps with examples and pitfalls to avoid guide all buyers must complete. A resource checklist: buyers should use to ensure that they make the best decision with regard to their social media. Above is the full report, feel free to read, download and share. This is just the start of this growing space. We coined the Social Media Management Systems market and started the first industry list in March, 2010 (read all the posts on this topic). Over the past few quarters, we worked closely with Altimeter Research’s Andrew Jones, and we’ve compiled over 13,000 pieces of data about vendors and what buyers need, case studies, and dozens of interview notes. Our experience helping 3 global companies make decisions on these SMMS vendors has helped us to realize the struggle the entire industry is going to have when it comes to keeping track of this fast-moving space. This report, which is a snapshot in time, documents the industry, and we’ll continue to publish changes in this space over the coming years. 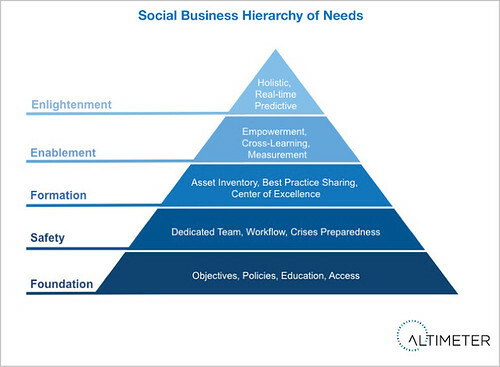 Above Graphic: First, Align by the Five Use Cases for Social Media Management. 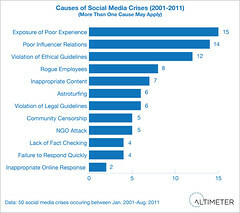 Above Graphic: Then, Choose The Right Social Media Management Systems based on Business Needs. Open Research: Use it, share it, and we’ll publish more. While there are many types of decision-making reports on the market, this one is unique for the following reasons: 1) We realize that one size does not fit all and we do not lump all vendors into one diagram; instead we segment by use case to show different capabilities, 2) Rather than focusing on enterprise class only, we include those that can serve medium-size companies, as this space is dynamically changing, 3) We publish under Open Research so it can be read by all, rather than sold by subscription, and 4) We disclose our client relationships, including vendors that are clients that were in this report, so you have the utmost confidence in our recommendations. During the editing process, we pulled out pages and pages of content in the editing process, so expect many future blog posts, webinars, and speeches to continue this discussion. In the following section, we cross-link to thoughtful reviews of the research report. We look forward to comments from those in the community. Joe Chernov asks: So You Wanna Launch a Global Social Media Program? Update Jan 5th end of day: We corrected the report to notate a correct total of 71 interviews, not 70.